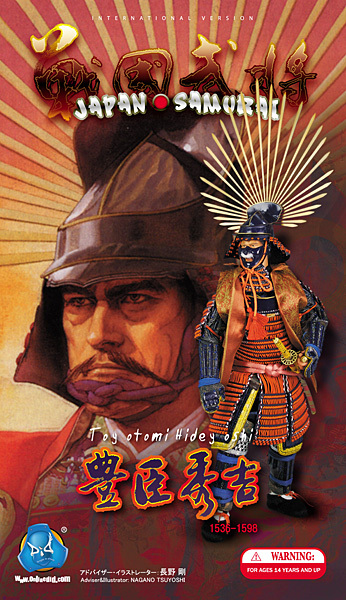 Toyotomi Hideyoshi (豊臣 秀吉, Toyotomi Hideyoshi? 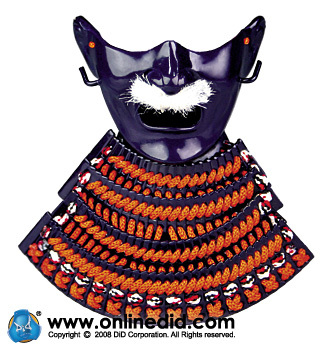 February 2, 1536, or March 26, 1537 – September 18, 1598) was a Sengoku period daimyo who unified Japan. 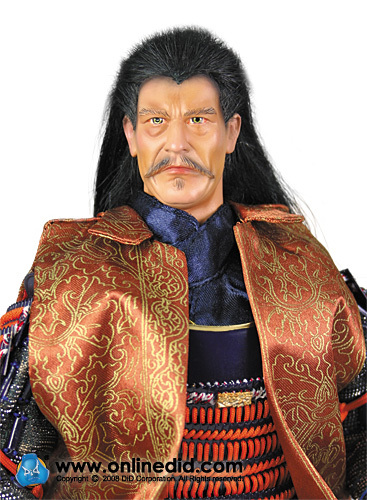 He succeeded his former liege lord, Oda Nobunaga, and brought an end to the Sengoku period. The period of his rule is often called the Momoyama period, after Hideyoshi's castle. 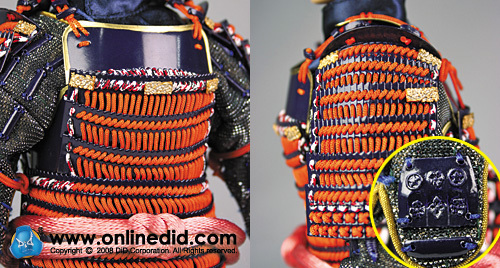 He is noted for a number of cultural legacies, including the restriction that only members of the samurai class could bear arms. Very little is known for certain about Hideyoshi before 1570, when he begins to appear in surviving documents and letters. His autobiography starts in 1577 but in it Hideyoshi spoke very little about his past. By tradition, he was born in what is now Nakamura-ku, Nagoya (at the time, the location was in Aichi District, Owari Province), the home of the Oda clan. He was born of no traceable samurai lineage, the son of a peasant-warrior named Yaemon. He had no surname. His childhood given name was Hiyoshi-maru ("Bounty of the Sun") although variations exist. During his childhood, Toyotomi Hideyoshi had the nickname Saru, meaning "monkey," because he was known to act foolishly and climb trees. As he grew up, he attained higher rank, which required him to change his name. According to Maeda Toshiie and a European missionary named Luis Frois, Hideyoshi was polydactyl with two thumbs on his right hand. He didn't amputate his extra thumb as other Japanese of this period would have done. Many legends describe Hideyoshi being sent to study at a temple as a young man, but that he rejected temple life and went in search of adventure. Under the name Kinoshita Tōkichirō, he first joined the Imagawa clan as a servant to local ruler Matsushita Kahei. He traveled all the way to the lands of Imagawa Yoshimoto, daimyo of Suruga Province, and served there for a time, only to abscond with a sum of money entrusted to him by Matsushita Yukitsuna. Around 1557 he returned to Owari and joined the Oda clan, now headed by Oda Nobunaga, as a lowly servant. He became one of Nobunaga's sandal-bearers and was present at the Battle of Okehazama in 1560 when Nobunaga defeated Imagawa Yoshimoto to become one of the most powerful warlords in the Sengoku period. According to his biographers, he supervised the repair of Kiyosu Castle, a claim described as "apocryphal", and managed the kitchen. In 1561, Hideyoshi married Nene. He carried out repairs on Sunomata Castle with his younger brother Toyotomi Hidenaga and the bandits Hachisuka Masakatsu and Maeno Nagayasu. Hideyoshi's efforts were well received because Sunomata was in enemy territory. He constructed a fort in Sunomata, according to legend overnight, and discovered a secret route into Mount Inaba after which much of the garrison surrendered. Hideyoshi was very successful as a negotiator. In 1564 he managed to convince, mostly with liberal bribes, a number of Mino warlords to desert the Saitō clan. Hideyoshi approached many Saitō clan samurai and convinced them to submit to Nobunaga, including the Saitō clan's strategist Takenaka Hanbei. Nobunaga's easy victory at Inabayama Castle in 1567 was largely due to Hideyoshi's efforts, and despite his peasant origins, Hideyoshi became one of Nobunaga's most distinguished generals, eventually taking the name Hashiba Hideyoshi. The new surname included two characters, one from one of Oda's two other right-hand men, Niwa Nagahide and Shibata Katsuie. Hideyoshi led troops in the Battle of Anegawa in 1570 in which Oda Nobunaga allied with future rival Tokugawa Ieyasu (who would eventually displace Hideyoshi's son and rule Japan) to lay siege to two fortresses of the Azai and Asakura clans. In 1573, after victorious campaigns against the Azai and Asakura, Nobunaga appointed Hideyoshi daimyo of three districts in the northern part of Ōmi Province. Initially based at the former Azai headquarters in Odani, Hideyoshi moved to Kunitomo, and renamed the city Nagahama in tribute to Nobunaga. Hideyoshi later moved to the port at Imahama on Lake Biwa. From there he began work on Imahama Castle and took control of the nearby Kunitomo firearms factory that had been established some years previously by the Azai and Asakura. Under Hideyoshi's administration the factory's output of firearms increased dramatically. After the assassinations at Honnō-ji of Oda Nobunaga and his eldest son Nobutada in 1582 at the hands of Akechi Mitsuhide, Hideyoshi defeated Akechi at the Battle of Yamazaki. At a meeting at Kiyosu to decide on a successor to Nobunaga, Hideyoshi cast aside the apparent candidate, Oda Nobutaka and his advocate, Oda clan's chief general, Shibata Katsuie, by supporting Nobutada's young son, Oda Hidenobu. 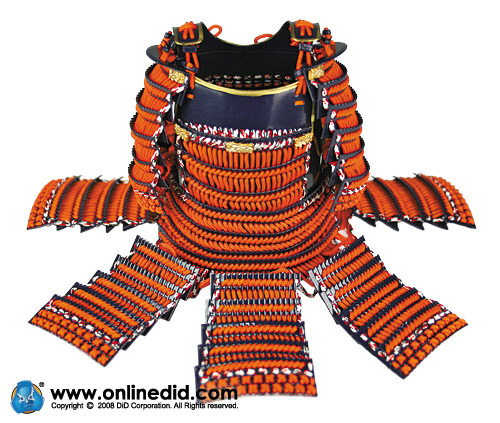 Having won the support of the other two Oda elders, Niwa Nagahide and Ikeda Tsuneoki, Hideyoshi established Hidenobu's position, as well as his own influence in the Oda clan. 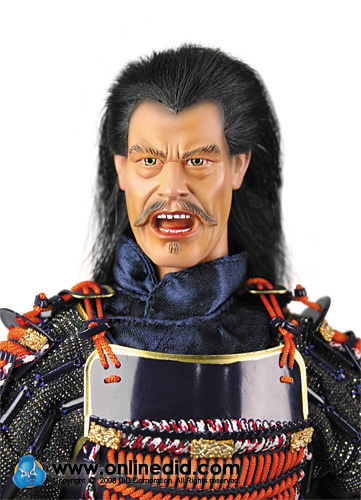 Tension quickly escalated between Hideyoshi and Katsuie, and at the Battle of Shizugatake in the following year, Hideyoshi destroyed Katsuie's forces and thus consolidated his own power, absorbing most of the Oda clan into his control. In 1583, Hideyoshi began construction of Osaka Castle. Built on the site of the temple Ishiyama Honganji destroyed by Nobunaga, the castle would become the last stronghold of the Toyotomi clan after Hideyoshi's death. Nobunaga's other son, Oda Nobukatsu, remained hostile to Hideyoshi. He allied himself with Tokugawa Ieyasu, and the two sides fought at the inconclusive Battle of Komaki and Nagakute. It ultimately resulted in a stalemate, although Hideyoshi's forces were delivered a heavy blow. Finally, Hashiba made peace with Nobukatsu, ending the pretext for war between the Tokugawa and Hashiba clans. Hideyoshi sent Tokugawa Ieyasu his younger sister and mother as hostages. Ieyasu eventually agreed to become a vassal of Hideyoshi. 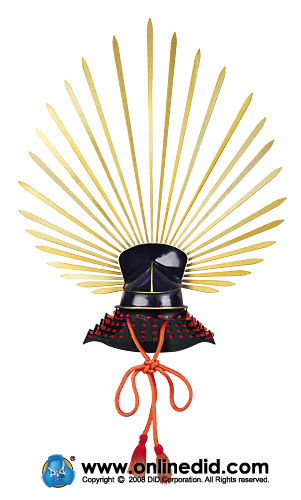 Hideyoshi sought the title of shogun in order to be truly considered the active ruler of Japan. However, the emperor did not grant that title to Hideyoshi. He requested the last Muromachi shogun, Ashikaga Yoshiaki, to accept him as an adopted son, but was refused. Unable to become shogun, in 1585 he took the more prestigious position of regent (kampaku). In 1586, Hideyoshi was formally given the name Toyotomi by the imperial court. He built a lavish palace, the Jurakudai, in 1587 and entertained the reigning Emperor Go-Yozei the following year. Afterwards, Hideyoshi subjugated Kii Province and conquered Shikoku under the Chōsokabe clan. He also took control of Etchū Province and conquered Kyūshū. In 1587, Hideyoshi banished Christian missionaries from Kyūshū to exert greater control over the Kirishitan daimyo. However, since he made much of trade with Europeans, individual Christians were overlooked unofficially. In 1588, Hideyoshi forbade ordinary peasants from owning weapons and started a sword hunt to confiscate arms. The swords were melted down to create a statue of the Buddha. This measure effectively stopped peasant revolts and ensured greater stability at the expense of freedom of the individual daimyo. The 1590 Siege of Odawara against the Late Hōjō clan in Kantō eliminated the last resistance to Hideyoshi's authority. His victory signified the end of the Sengoku period. In February 1591, Hideyoshi ordered Sen no Rikyū to commit suicide. Rikyū had been a trusted retainer and master of the tea ceremony under both Hideyoshi and Nobunaga. Under Hideyoshi's patronage, Rikyū made significant changes to the aesthetics of the tea ceremony that had lasting influence over many aspects of Japanese culture. Even after he ordered Rikyū's suicide, Hideyoshi is said to have built his many construction projects based upon principles of beauty promoted by Rikyū. The stability of the Toyotomi dynasty after Hideyoshi's death was put in doubt with the death of his only son Tsurumatsu in September 1591. The three-year-old was his only child. When his half-brother Hidenaga died shortly after his son, Hideyoshi named his nephew Hidetsugu his heir, adopting him in January 1592. Hideyoshi resigned as kampaku to take the title of taikō (retired regent). Hidetsugu succeeded him as kampaku. His health beginning to falter, but still yearning for some accomplishment to solidify his legacy, Hideyoshi adopted the dream of a Japanese conquest of China that Oda Nobunaga had contemplated and launched two ill-fated invasions of Korea. Though intended to conquer Ming China, Japanese forces would never get beyond the Korean peninsula. Hideyoshi had been communicating with the Koreans since 1587 requesting unmolested passage into China. The Koreans at first refused talks entirely, and in April and July 1591 refused demands that Japanese troops be allowed to march through Korea. In August, Hideyoshi ordered preparations for invasion. In the first campaign, Japanese forces were initially very successful. By May 1592 Seoul was occupied, and in only four months Hideyoshi's forces had a route into Manchuria and occupied much of Korea. However, despite the Japanese success on land, naval forces under Admiral Yi Sun-sin soon counterattacked the Japanese fleet, cutting off the Japanese army's supply lines and effectively strangling the invasion in Korea. In 1593, Ming Chinese Emperor Wanli sent an army under Admiral Li Rusong to block the planned invasion of China and recapture the Korean peninsula. Chinese and Korean forces drove the Japanese army from Seoul and Pyongyang. The war reached a deadlock, and after the conclusion of a cease-fire agreement, Japanese troops retreated to Japan. The birth of Hideyoshi's second son, Hideyori, in 1593 created a potential succession problem. To avoid it, Hideyoshi exiled his nephew and heir Hidetsugu to Mount Kōya and then ordered him to commit suicide in August 1595. Hidetsugu's family members who did not follow his example were then murdered in Kyoto, including 31 women and several children. After several years of negotiations (broken off, because envoys of both side reported to their master that the opposition surrendered), Hideyoshi launched his second invasion of Korea in 1597, but met with less success. Japanese troops would remain largely in Gyeongsang province. By June 1598, the campaign was stalled and reduced to approximately 60,000 warriors under the Shimazu clan commanders, Shimazu Yoshihiro and his son Tadatsune. The remaining Japanese forces fought desperately, turning back several Chinese attacks in Suncheon and Sacheon as the Ming army prepared for a final assault. Toyotomi Hideyoshi died in September 1598. His death was kept extremely secret by the Council of Five Elders to preserve morale. It was not until late October that they sent a decree to the Japanese commanders to withdraw. In the last major conflict of the war, the Battle of Noryang, combined Korean and Chinese naval forces led by admirals Yi Sun-sin and Chen Lin blocked the Japanese withdrawal. Japanese forces suffered heavy damage and Korean admiral Yi Sun-sin was killed, but the remaining Japan forces broke through and withdrew to Busan at a cost of 200 ships destroyed and 100 captured, according to Korean records. Because of his failure to capture Korea, Hideyoshi's forces were unable to invade China. Rather than strengthen his position, the military expeditions left his clan's coffers decreased, his vassals at odds over responsibility for the failure, and the clans that were loyal to the Toyotomi name weakened. The dream of a Japanese empire throughout Asia ended with Hideyoshi. The Tokugawa government not only prevented any military expeditions to the mainland, but closed Japan to nearly all foreigners. It was not until the late 19th century that Japan would again fight a war against China through Korea, using much the same route that Hideyoshi's invasion force had used. After his death, the other members of the Council of Five Regents were unable to keep the ambitions of Tokugawa Ieyasu in check. Two of Hideyoshi's top generals Katō Kiyomasa and Fukushima Masanori had fought bravely during the war, but returned to find Toyotomi clan bureaucrat Ishida Mitsunari in power. 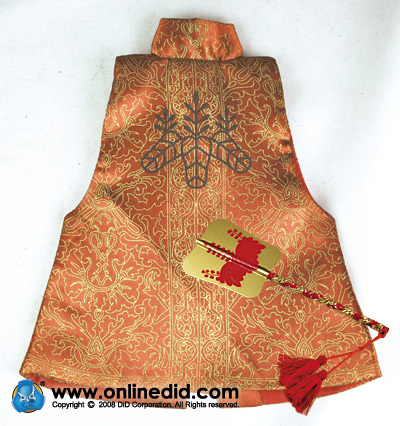 He held the generals in low esteem, and they sided with Tokugawa Ieyasu. Hideyoshi's underaged son and designated successor Hideyori lost the power his father once held, and Tokugawa Ieyasu was declared shogun following the Battle of Sekigahara.